I think by the time I am writing this article Kodachrome must have become a thing of past. The news is that Kodak has done away with Kodachrome, the 35mm film which was one of the oldest film stock. The reason cited was that it did not have much demand in this digital technology. There have been songs which have praised Kodachrome and made it memorable. The song by Mr. Simon made Kodachrome very close to each one's heart. People of this generation will not be able to understand about its significance, but this roll was a big thing during 1970s and 1980s. I remember my parents buying it and I still have the boxes with me. So what made Kodachrome so famous? If you are an avid reader of National Geographic books, then you would be aware of the Afghan Girl Photo. The one photo which portrayed innocence and this was the photo that made the world sympathize with Afghan refugees. It was shot using Kodachrome and that is one of the reasons why it shot to fame!. If you are a strong fan of KodaChrome and still using the camera, then get custom lanyards for it to promote it's uniqueness. Every photographer loves Kodachrome because of the quality, color and easy processing of images. It can be truly termed as the film which created a revolution in the history of photography. 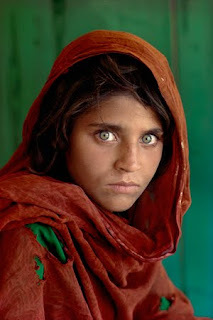 Check out the Afghan Girl Image to have a feel about Kodachrome images!